You are here: Home / Sacramento Lifestyle / Craig’s List: Your April Guide to All Things Sacramento is Here! 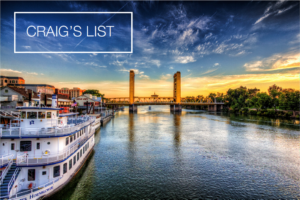 Craig’s List: Your April Guide to All Things Sacramento is Here! Sacramento never falls short on things to do, especially during the spring months—and April is no exception! This month, we’re dishing out a winning line-up of food, festivities and fun that are taking place around the Sacramento region. From the best places to catch the NBA playoffs to some simple spring DIY home décor ideas that will infuse your home with a breath of fresh air, we’ve got you covered. As always, we want to hear from you! If you have any recommendations of your own, we’re all ears. Just send Craig an email at cdiez@cbnorcal.com for a special shout-out in next month’s newsletter. It’s almost tip-off time for the NBA playoffs and we’ve got a handful of perfect game day spots for you to cheer on your favorite team. In true sports fashion, we created our very own “starting five” lineup of bars and restaurants with some brief highlights below. Firestone Public House (Downtown Sacramento): This family-friendly restaurant and bar features 60 beers on tap, 22 flat screens, and two outdoor patios. Check out their menu and beer selection here. Bar 101 Eats & Drinks (Roseville): This local sports bar boasts a large menu with all-American classics including a delicious line-up of burgers, sandwiches and tacos, and starters including fried pickle chips and loaded nachos. A welcoming venue, vast drink selection, and flat screens make this the perfect game day hang out spot. Hop House (El Dorado Hills): A fun atmosphere, great food, and constantly rotating tap list make this bar and restaurant another great pick for game day. Plus, they were recently voted “Best Burger in El Dorado Hills”! Peruse the menu and beer specials here. 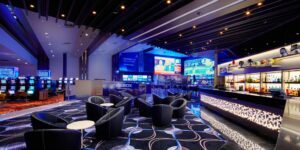 FLB Entertainment Center (Folsom): With a bowling center, sports bar with 20 beers on draft, 36 HD flat screens, pool tables, dart boards and a casino, what’s not to love? Learn more by visiting their website. Scoreboards Pizza & Grill (Roseville): Pizza and sports is a winning combination in our book! There’s also a dog-friendly outdoor patio seating area, which is fully equipped with a fireplace, gas heater, and two 55” HD TV’s. Check it out here. In need of some serious DIY spring inspo? We’ve got you covered with five simple yet beautiful décor ideas to help you kick off the spring season! 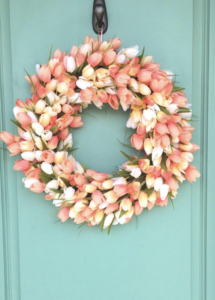 Tulip Wreath: A good first impression starts with the entryway. And what better way to welcome in guests than with a gorgeous and easy-to-make DIY wreath? The pastel colors are warm and inviting and they set the tone for spring. Learn how to make it here. Patio Pavers: Thinking of a subtle way to add a pop of color to your backyard? 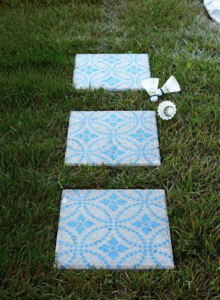 Make a statement by turning plain cement pavers into brightly patterned patio pavers. See how to create these beauties here. 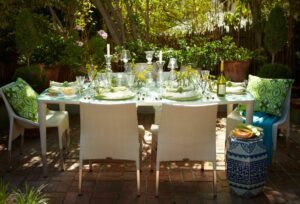 Spring Table Centerpiece: In need of a simple yet elegant spring centerpiece for your next dinner party? 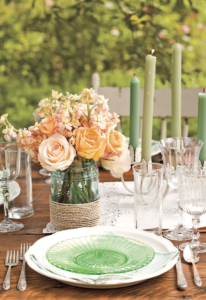 This whimsical arrangement is perfect for both outdoor and indoor celebrations. Here’s what you need to complete the look: a mason jar, your favorite flower arrangement (pictured below are roses), twine, and a hot glue gun. You can create a more formal table setting by adding two or three of these arrangements along the center of the table with taper candles. 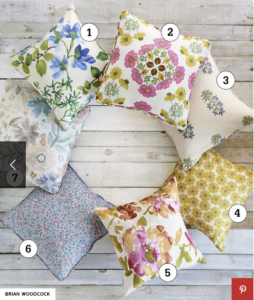 DIY Floral Pillows: How cute are these DIY spring floral pillows from Country Living? Mix and match these patterns to fit your budget or find similar patterns at your local fabric store! Click here for details on the below fabrics and here for a tutorial for creating your pillow in under ten minutes. 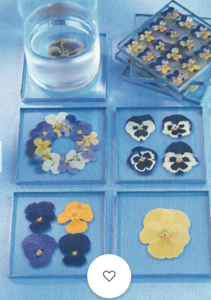 Spring Coasters: These Martha Stewart “Pressed Pansy-Coasters” are a unique and festive way to tie in your home décor with the season. Plus, they’re a fun activity to do with friends or family! Learn how to make them here. 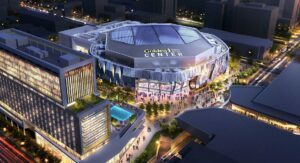 Whether you’re looking for a fun sports game to attend or a weekend activity for the whole family, Sacramento’s got you covered. Click on the below links for a round-up of exciting ways to spend time in the city! Join The Craig Diez Team for a “tail wagging good time” to raise much-needed funds and awareness for local animals at the Sacramento SPCA. 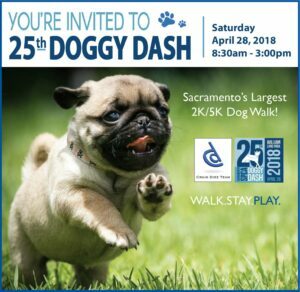 Your registration and participation in the Doggy Dash helps the Sacramento SPCA care for more than 5,500 animals annually. Following the walk, stay and play at the Bark in the Park festival and join us and 80+ other vendors and sponsors to enjoy K-9 demonstrations, contests, food and drinks, pet-friendly products to purchase or sample, and more! Contact us to see how you can register, donate or learn more! About this Home: From dusk till dawn, the American River views at this timeless residence are simply magical! Custom designed by famed Sacramento architect Carter Sparks, nearly every room in this five bedroom, two and one-half bath home opens up to front row river views. A private gate and natural landscaping surrounding the grounds ensures total privacy. Step inside to the welcoming foyer where you will find an impressive entryway and built-in wet bar. The large family room features expansive windows that reveal sweeping river views. The remodeled Chef’s kitchen makes entertaining a breeze with three ovens, custom cherry cabinets, granite counter tops, a large island, wine fridge, breakfast nook, and new stainless steel appliances. The exquisite master invites total relaxation with its own sauna and private balcony overlooking the American River and beyond. The outdoor area is masterfully designed for entertaining with a gorgeous wrap around deck offering unobstructed views and river access, a lagoon-style pool, hot tub, and fire pit. A desirable cul-de-sac location and two-car garage add to this home’s great curb appeal! Thinking of buying or selling? Contact The Craig Diez Team today to discuss your real estate needs! Please fill out the below information and Craig will be in touch with you shortly! "I worked with Craig over a period of 2 years. We were searching for a house and our search changed a few times. Craig was so patient with me and took me... continued"